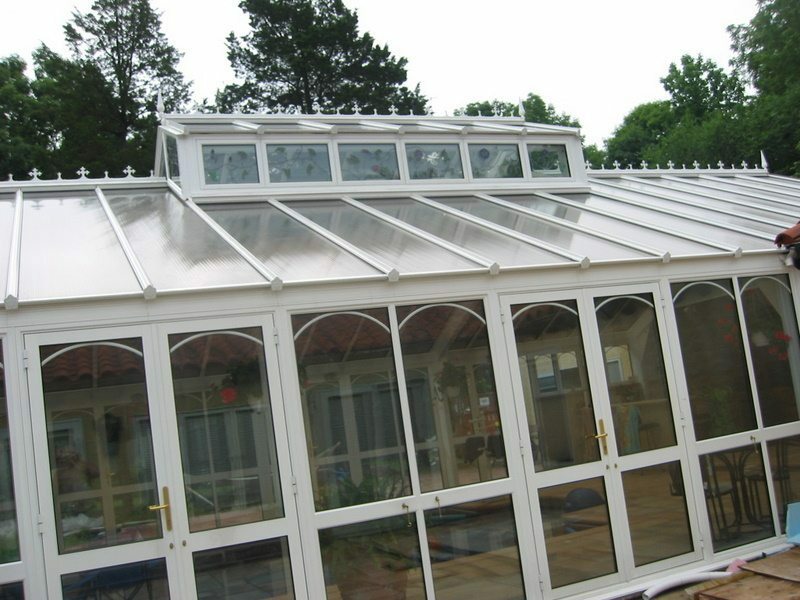 Glass is a major component of every conservatory design. When we begin the design phase with our clients most are shocked to have so many options! Some companies advertise they have ‘magic’ glass! And today’s glass options ARE magic compared to the options of even 10 years ago. 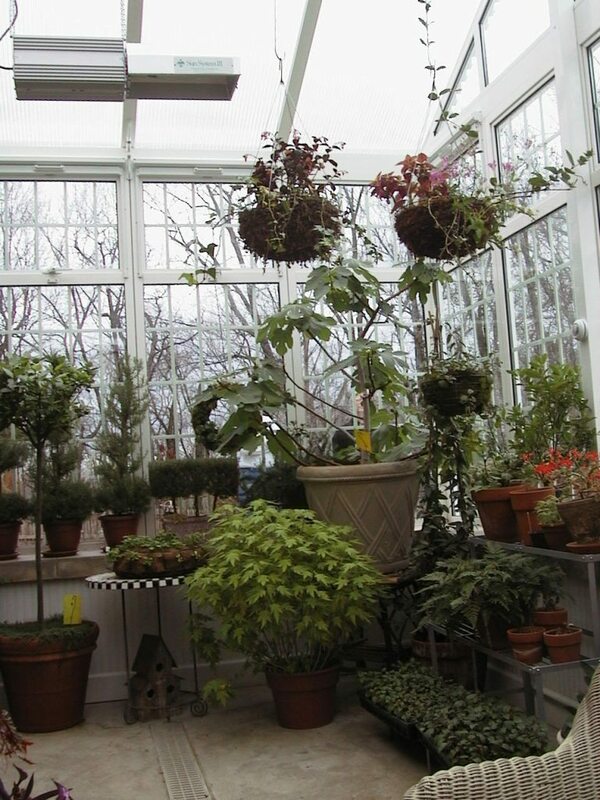 One person who is raising plants in the conservatory may have different needs than another who has fabrics to protect. 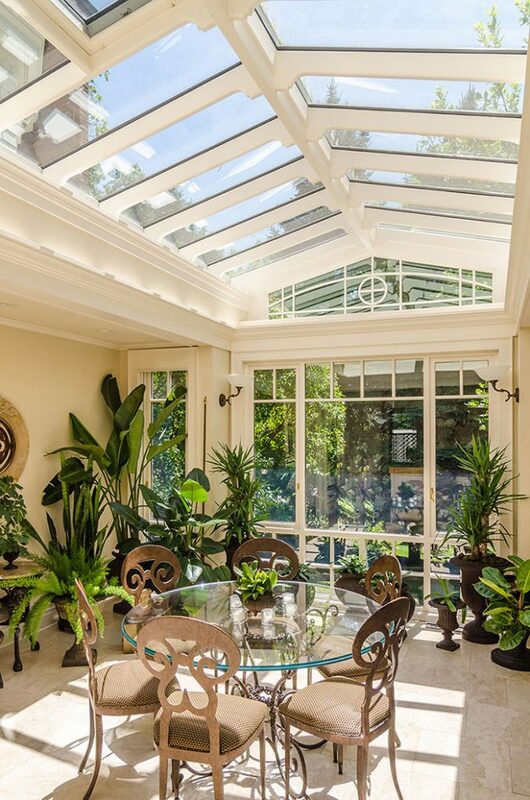 Each project has different demands on the glass, and managing the temperature inside of the conservatory is of primary concern. All sidewall glass is tempered, sometimes called safety glass. This glass is almost impossible to break, and adds protection to your family from accidental breakage as well as security. This double layered glass is what we call ‘insulated glass’ and the air space between the glass offers thermal efficiency. Clients often have the conception that this is ‘vacuum sealed’ but it is not. It is tightly sealed with special sealants to protect the aid inside from being contaminated by air outside, which has humidity and causes ‘seal failure’. Sometimes, in the interest of thermal efficiency (called ‘u’ value) we will also have the air pumped out of this air space to be replaced by a more dense gas, argon. LowE or low emissivity is a film coating we put on the glass to help break down the long wave ultra violet sun rays into short wave infared. This also improves the thermal efficiency of the room. Softcoat LowE is more effective than hardcoat LowE. Laminated glass is a type of safety glass that holds together when shattered. In the event of breaking, it is held in place by aninterlayer, typically of polyvinyl butyral (PVB), between its two or more layers of glass. The interlayer keeps the layers of glass bonded even when broken, and its high strength prevents the glass from breaking up into large sharp pieces. This produces a characteristic “spider web” cracking pattern when the impact is not enough to completely pierce the glass. Laminated glass is normally used when there is a possibility of human impact or where the glass could fall if shattered. Skylight glazing and automobile windshields typically use laminated glass. In geographical areas requiring hurricane-resistant construction, laminated glass is often used in exterior storefronts, curtain walls and windows. 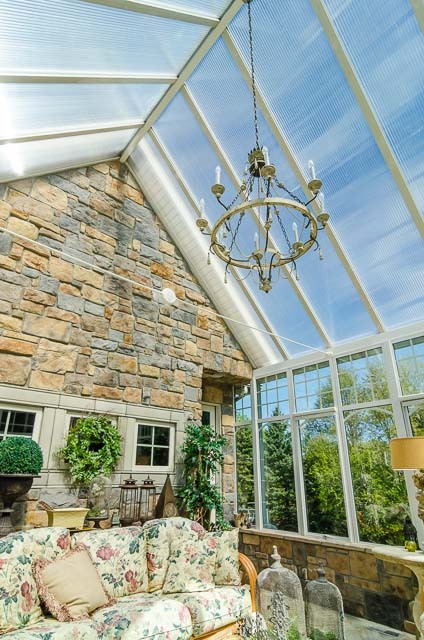 The PVB interlayer also gives the glass a much higher sound isolation rating, due to the damping effect, and also blocks 99% of incoming UV radiation. 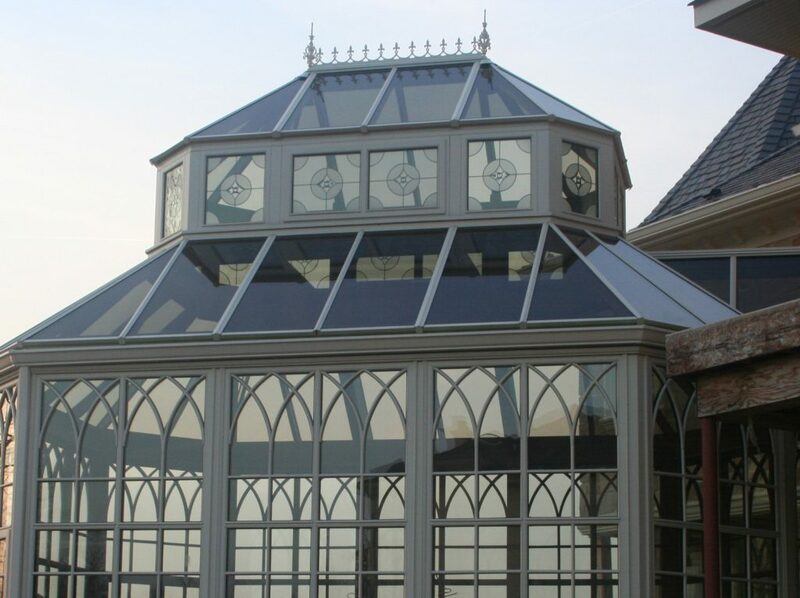 We will often use laminated glass on the roof, when the building codes require. Here’s a quick index to help you sort through the various terminology. Float Glass: glass that breaks easily and shards when broken like a picture frame glass. Tempered Glass: glass that is placed in an oven and heated to extreme temperatures to make it hard. Almost unbreakable, but, if it does it breaks into little pieces. Laminate Glass: two thin layers of glass, either annealed or tempered, that are bonded together with a sheet of very thin lamination. Like your car windshield. Low E (Emisivity): slows down the UV waves of the sun and captures them as infrared. This works in the house, as it keeps warmth in the house (unless of course you are trying to cool the house!) There is a special coating put on the glass to accomplish this purpose. Soft Coat LowE: a newer invention that is a soft coating of LowE placed on the glass and which makes it more effective. When doubled up this is even more effective. 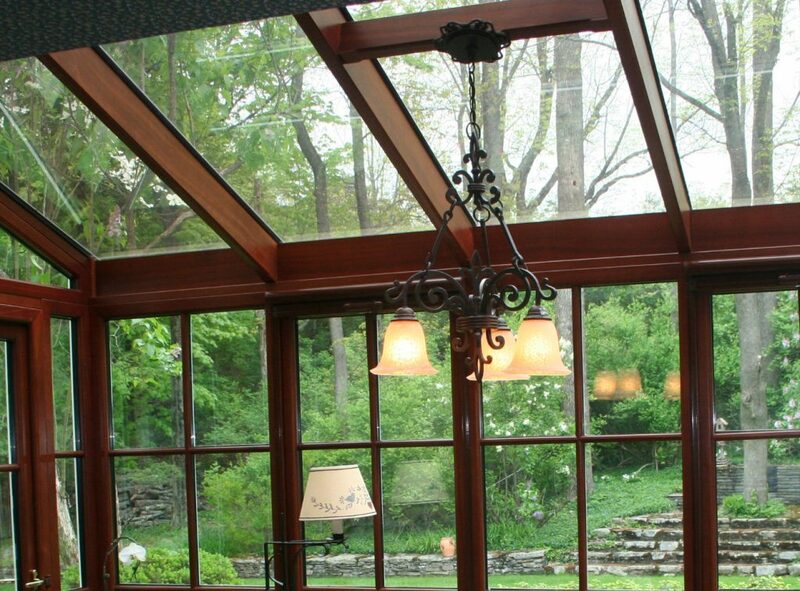 Insulated Glass: we use double glazed, insulated glass, typically 1″ overall thickness. The LowE coatings are inside the insulation void. Argon: proven to be highly effective in maintaining thermal efficiency of glass. Cool Glass: double coated, soft coat, LowE glass is cool to the touch on the inside when the sun is shining on the outside. Plant Lovers’ Glass: when trying to grow great plants, we reverse some formulas and come up with special designs, based on the plants to be grown. This is just one more advantage of having horticultural professionals designing your growing room.